Press8 Telecom hosted PBX is an enhanced service that offers all the benefits and convenience of a sophisticated, on-premise telephone system and voice mail system at a fraction of the cost. Since it is hosted in the cloud, there is no software or hardware maintain. Press8 provides an automated attendant that plays greetings based on time of day or day of week, a dial by name directory, and routes callers to extensions, hunt groups or call queues. Callers can be connected to the person they are trying to reach, whether that person is in the office, on the road, or working from home. With a Press8 hosted PBX you can connect all of your remote employees or offices as if they’re working in the next office. We are the most comprehensive VoIP hosted PBX provider offering on-site setup and training for you and your staff. * Choose to go local and you won’t regret it. With Press8 Telecom we are always just around the corner here to help you 24 hours a day 7 days a week. 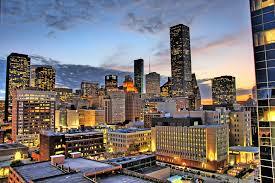 Forbes magazine ranked Houston among the top 20 cities in the United States for business and careers. Houston’s economy has a diverse base in several sectors. Only New York City is home to more big public companies than Houston. The city is also home of the Texas Medical Center, the world’s largest concentration of health care and research institutions, and NASA’s Johnson Space Center, where the Mission Control Center is located. The Port of Houston ranks first in the United States in international waterborne tonnage handled and second in total cargo tonnage handled. Houston has many cultural institutions and exhibits, which attract more than 7 million visitors a year to the Houston Museum District. Houston corporations are among some of the most stable and fastest growing in the country. Indeed, Houston business owners have enjoyed continuously outperforming results since January 2012, showing steady growth. Houston VoIP hosted PBX systems are home in Texas. You will be, too. When you are looking for a VoIP hosted PBX provider, look in your own backyard. With Press8 Telecom, we will not only setup your phone system but we will come to your location and setup your phones and even train your staff. * You won’t get that kind of service from a company located on the other side of the United States. Our customers have found that a business phone system is personal. You will feel the same way when you switch to VoIP. Having your phone company in your own backyard, available to help you anytime, makes all the difference in the world.